Searching for my dad for (20) twenty years now! Coleman Barracks, Mannheim Germany 1972. Looking for my father he was stationed there back then. 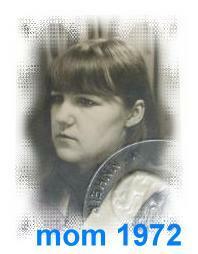 I`ve added my mom`s picture from 1972. Anyone who was there and remembers anything that may help within my search - please contact me! THX! Also, check out my galleries to the left side. Hi, I believe that this piece of mail will reach you in a perfect state of mind and in a healthy condition, sometimes life certainly can feel helpless and with no shelter from the storms and trials of daily life than friendship and to know that there is someone out there you can fall back on. Sometimes people come into your life and you know right away that they were meant to be there, although, we do not know each other well but I would really want you to contact me through my email address (gracetoure99@yahoo.com) i will send you some of my pictures as i hear from you.